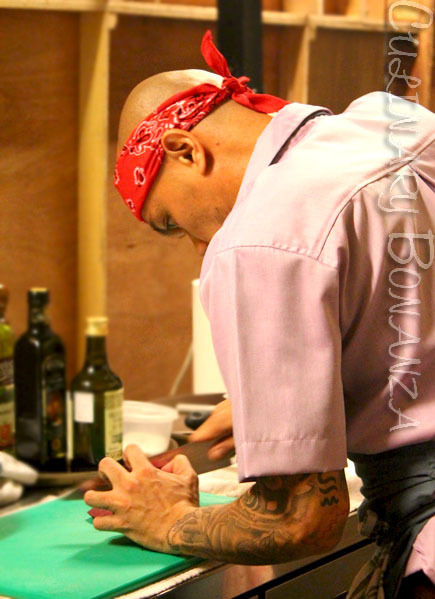 What do you think of tattooed chefs? Mysterious? Fearsome? At a glance, Raj Abat's lean, austere and tattooed appearance might trick us into thinking that he's chief of some gangs. Well, a bunch of gangsters indeed, but these are experts with knives, laddles and forks, and their territories are not the streets, but the kitchens. 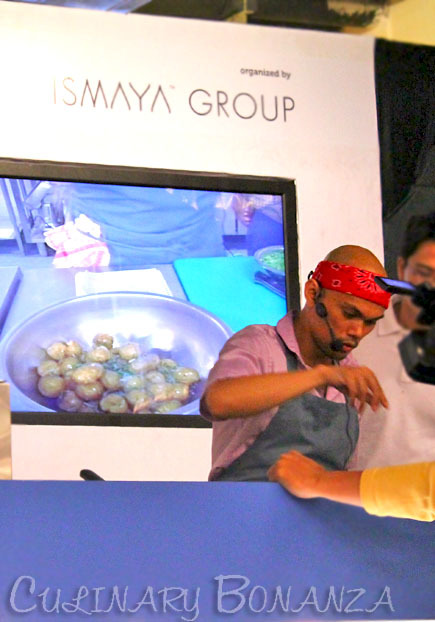 If you didn't know Raj Abat, you would probably never guessed that he is a Filipino-born New Yorker and is a Corporate Chef who has a long list of experience working in some of the most desired celebrity chefs' kitchens like Jean-Georges in New York City and Pierre Gagnaire in Paris. 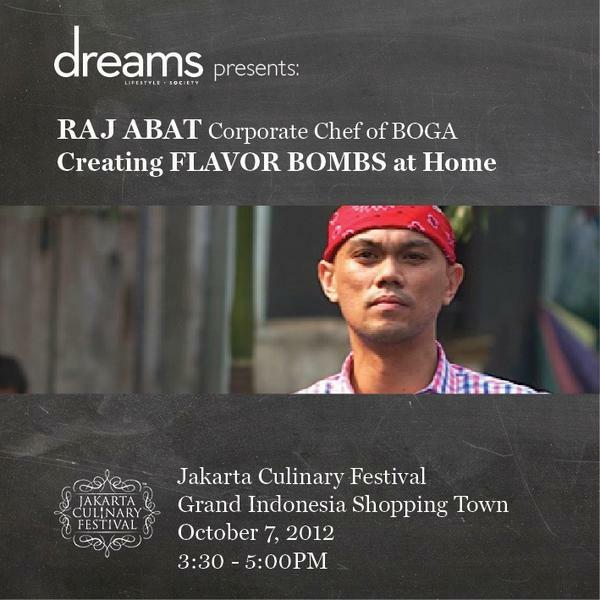 Who would've guessed that after his career in the celebrity chef's kitchens, Raj Abat would be 'stranded' in Indonesia. Today, he is the Corporate Chef of PT. Boga Utama International, a new subsidiary company in the F&B sector of PT. Bukit Uluwatu Villa that owns Alila Ubud and Alila Villas Uluwatu in Bali. All that serious and aloof image that I had in my head about Raj were shattered when I met him on Sunday, 7th October. As one of the selected volunteers to assist Raj with his cooking demo (co-organised by dreams magazine, as part of the series of events during the 2012 Jakarta Culinary Festival Grand Opening weekend), I was supposed to congregate at 12 noon, but I came late about an hour later due to some earlier preoccupation (sorry Jed!). But lucky I still managed to catch up with the group and we did the rest of the shopping together. 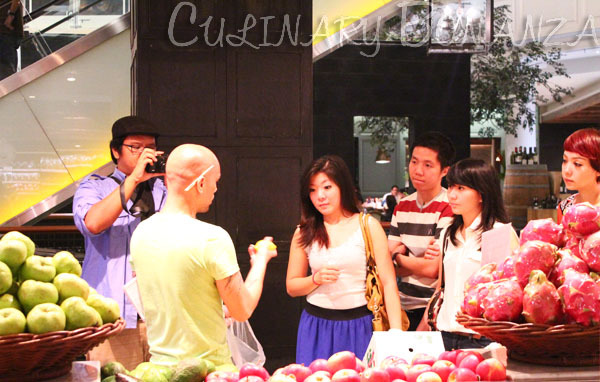 With no pre-made shopping list, no prior planning, nor any specific recipes in mind, we went shopping (blindly) with Raj. All the while shopping, Raj shared with us some valuable and practical tips, such as how to pick good tuna belly (otoro). The key is to look out for the fatty tissues marked by the thin cream-coloured strands. The more of those, the quality of the otoro is supposedly better. Besides that, Raj also emphasised that the most basic spices any kitchens must have are lemon and salt. According to him, you can survive with just these 2 fundamental yet versatile spices. 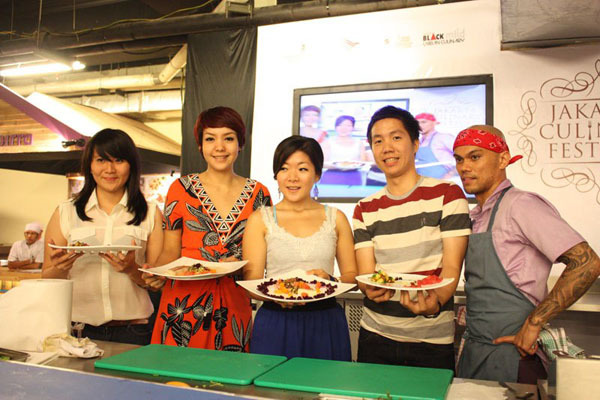 First things first, we picked the main theme of the dishes: choice of seafood or meat. As we're going to do both, we decided to pick beef steak, sea bass, oysters, squid and otoro. The next step was choosing the spices and side items to go with those. Raj hinted at things that will burst with flavours and create dishes which are colourful both for the eyes and the palates. The theme was, after all "Creating Flavour Bombs at Home". So it had to be simple yet blend together harmoniously. He was tremendously helpful and eager to hear our ideas. All the encouraging reactions made cooking seem simply carefree and fun. Some ideas voiced were pineapples, oranges (I shouted this one...teehee), caisin (a type of leafy vegetables common in chinese cookings), rhubarb, baby potatoes and beetroots. Ø Steak with oysters, & sauteed squid, fried baby potatoes and sauteed caisin. 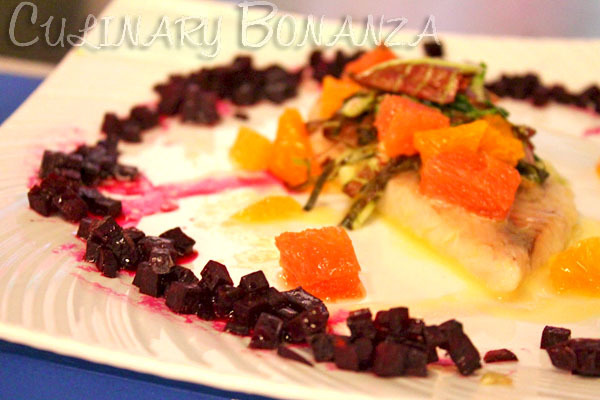 My personal favourite was the dish I helped to prepare (although all I did on the stage was dicing the oranges & grapefruits. But hey, even that was not easy! haha). Lastly, I'd like to thank you Jed from dreams magazine and his team, as well as Raj who had kindly shared us insightful tips for cooking at home.